Mark is the founder of Elegant Ensembles. He works with a small group of dedicated musicians to perform great music in a professional manner. 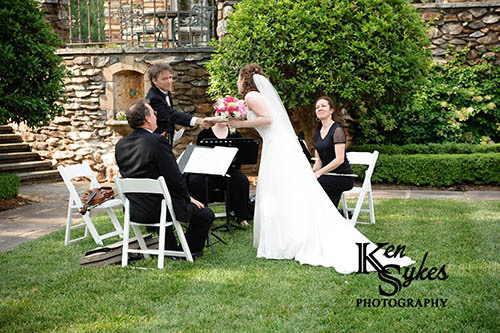 He has over fifteen years of experience coordinating music for weddings and special events and is very willing to work with his clients to find the right balance of music styles and selections for their special day. When you book Elegant Ensembles, you will be working directly with Mark for all aspects of your music needs throughout the entire planning process. 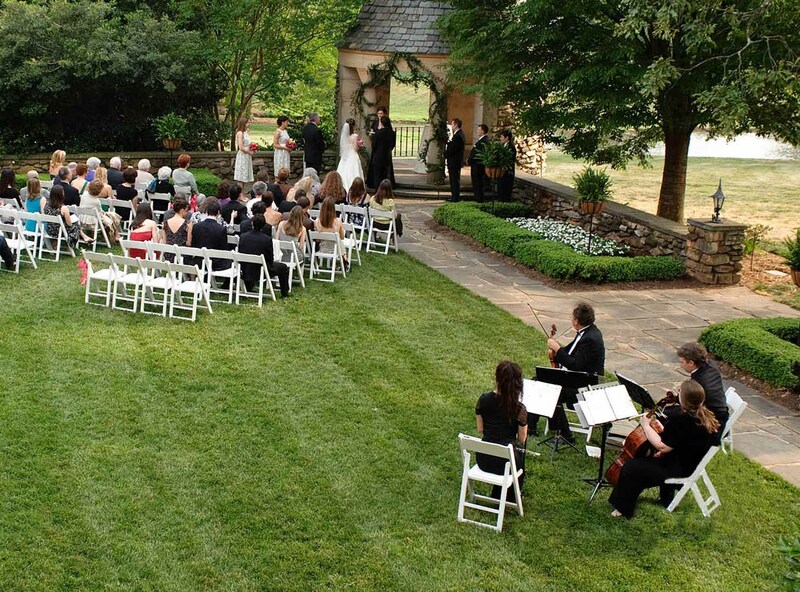 Elegant Ensembles has gained experience at performing at over 2500 weddings and special events. Over this long history, we have developed a one of a kind organizational system that incorporates a technology we call SamePage. With SamePage, everyone performing the wedding is fully informed with the latest updates and details. In addition, Elegant Ensembles has a large preview collection of audio and video excerpts to help you get ideas for your event. As president, Mark enthusiastically enjoys working with couples to easily create a balanced and entertaining musical program. A native of Winston-Salem, Mark graduated from Appalachian State University. During college Mark was the co-founder of the Mountain Boys featuring the then unknown Eric Church. Now, Mark's claim to fame is the slightly humerous honor of being the first bassist for the Eric Church band. During this time, Mark earned a bachelor's degree in Music with a minor in business administration and a master's degree in Industrial Technology and Computer Information Systems. Even during his college years, Mark found the practice of organizing music events to be appealing. 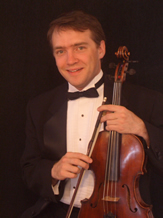 Fifteen years later, he is organizing events across North Carolina and performing wedding music and string quartets in Raleigh, Greensboro, Winston-Salem, and Charlotte. Recently, Mark completed a masters in Executive Leadership focusing on K-12 Education and is currently the Academic Technology Coordinator at Forsyth Country Day School. He also teaches AP Computer Science in the Upper School and serves as a systems analyst supporting technology needs at the campus.